Parents are always excited for their young one and want to store the childhood memory of their kid. Every day they see some growth in their child which is always very amusing. Somedaythey found that their little one is sitting or he is crawling on the floor or even start walking, all these are very precious for the parents. Parents track every small change in the activity of their child and want to keep all the memory related to their child. There is a fashion in the modern parents to capture the unforgettable and unique activity of their child through photography. Hence in this segment, we are going to discuss the perfect photography age of an infant. If we talk about one of the perfect age of photo shoot for babies, then it would be sitter age where they can’t crawl but they provide some lovable poses.Although, any time is perfect for photography for children the age of 6 to 10 is perfect because in this stage baby can sit by their own and babies of this decade are so intelligentwhen it comes to givingpose for their photo session. 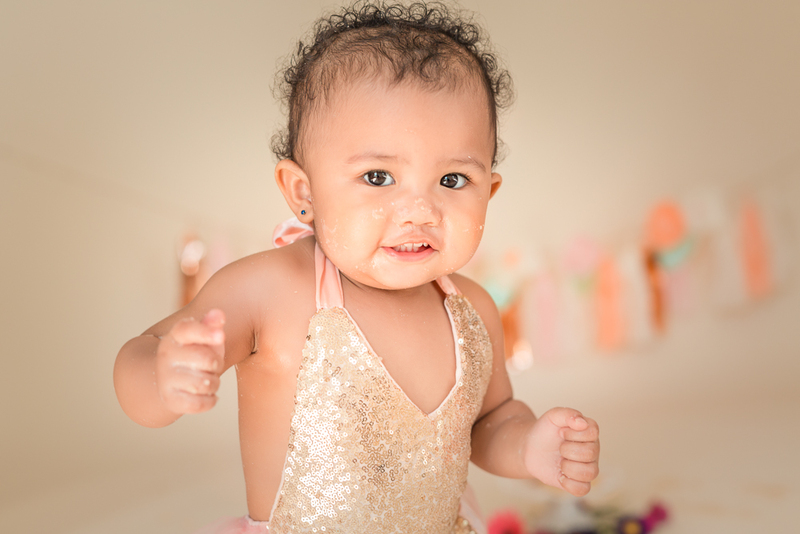 In baby photography, the photographerneeds to take care of the little child, for example how he should click a unique picture which does not affect the baby anyway. 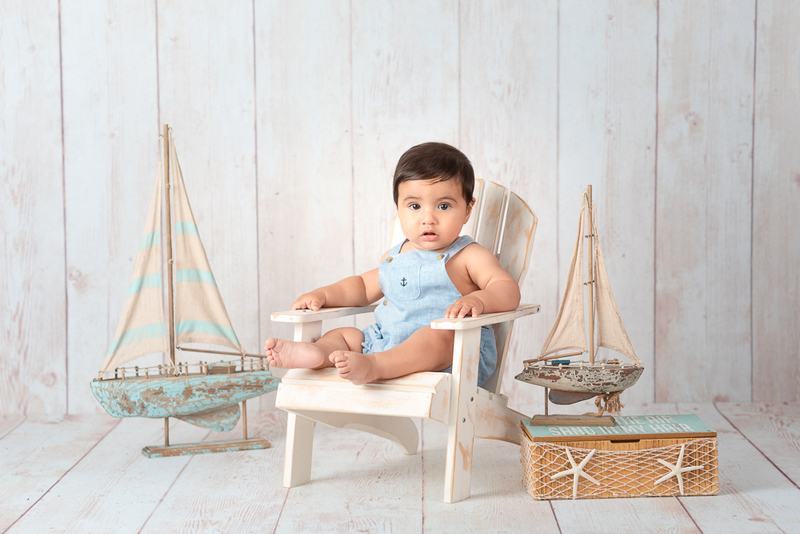 Well, many photographers thinkthat baby photo shoot would be more successful when baby starts sitting on his own. In this way, you can capture the photograph of your little baby. This would definitely allow you to have a hassle-free session. 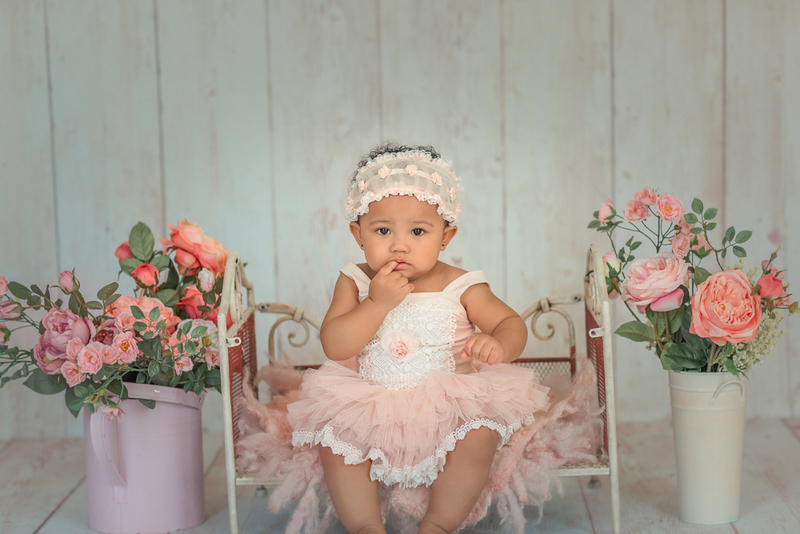 There are many benefits of sitter baby photography which should be discussed in this segment.In terms of comfort and continent, sitter baby photography is better than the rest because atthis age your baby is small as well as they can give you a perfect shot for your photo shoot. At this age, babies learn to sit properly & securely on their own strength. If we talk about the newbornbaby, then the timing of the sessionneedsto be short because most of the time newbornbaby needs medication or sleep. That mean photographer will have to fix a time according to the child. Sitter baby hasapparently more tolerance of strangers, as they can innocently beattachedto everyone including the photographer. On the other hand, newborn children are so sensitive and choosy, if he likes the person he will spend the time with them otherwise it defaultsto shoot pictureif you don’t want photos of your baby crying and screaming. Children’s are the mostprecious thing to the parents and they want to give all the happiness of the world to their young one. Now a day parents are taking care of all the activity of their newbornbaby. The trends have also catalyzed the sense of pride and many celebrities spend their time and wealth in a photoshootfor their newbornbabies. These fashiontrends are like a vanity show where the babywill be treated as a Diva. We all know that if you want to recall your childhood or any other stage of your life, photography is the only way to be connected to with your past. Through photo one can remember their specific height, weight and many more. When it’s come to the babypictures, it attracts not parents but family members, relatives & a lot of people from the society. Capturing picturesof the daily life moments is in fashion today. So, when a new a baby joins the family, it’s too included in that. It is not only persuaded by the famous people for their children but also common people thinkto have a memory in a photo album. It is also an amusement for the adult to see himself as a baby in ababyphoto album. Most importantly, sitter baby photos are the cutest because the child is an almostnewborn baby, so their innocence and cuteness are high and give optimum happiness when someone goes through the album it would make him/her recreate that moment of ultimate joy & happiness that happened years back. The outstanding way to remind our past is a photograph. There isa various category of photography such as portrait photography, Landscape photography, journey photography, street photography, nature photography, fashion photography and many more. All this photography has its own significance but now a day’s special kind of photography trend is in a fashion that is photography related to family, maternity of women, newborn baby etc. In this field, a handful of photographers are having a good experience and they are a comparably the busiest photographer nowadays because these days many parents are including this trend in their life. Although the photography session could be small innovation & creativity is required at every stage of this photography. This photographer has specific value because it strengthens the bond of the family. Well, the photography of this kind plays a vital role to build a great relationship among the couple, as children are always the most valuable between the couple. Becoming parents is the happiest moment because, after-nine- month, parents see the face of the hope which they were waiting for. The cute smile, magnificent eye, and much other activity will break your heart & outflow your eyes seeing the baby. 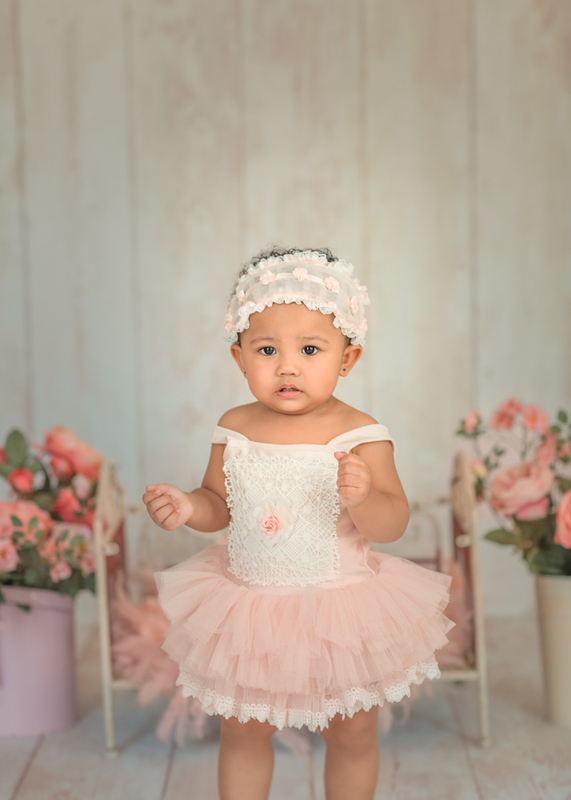 For the photo shoot, six to ten months from birth is regarded as the perfect moment for the babythe age of six to ten month is considered as the right moment and it is also suggested by the photo specialist but newbornbaby photography are also practiced even after 20 days from birth. During this photoshootsession, there will be many minor events but all that would compile to be your happiest memory ever. Parents also participate in newborn session but if we talk about father participation then previously it was not involved much. But nowadays, the fatheralso shows their affection towards his child in front of the camerawhich is graceful. Affordable and innovative photographers are always acceptable because everybody wants quality with quantity. 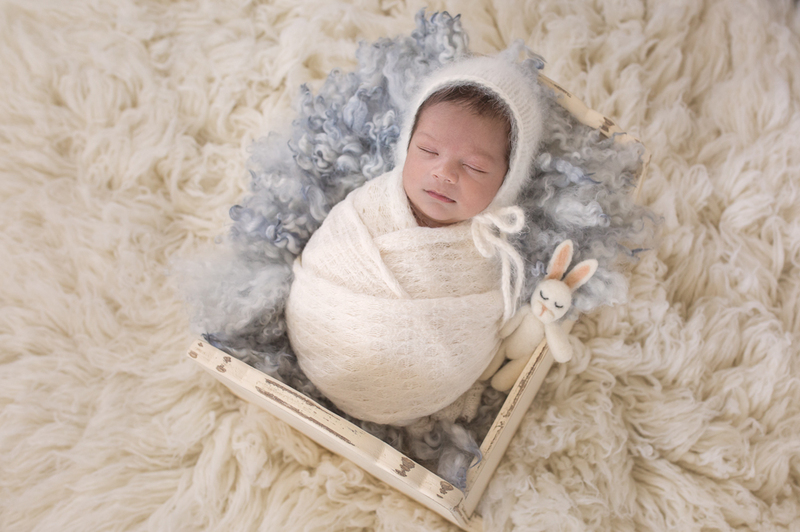 The newborn photographer is a special kind of photographer who has many great ideas because we know that the newborn is so sensitive, that even many people frightenedto carry them. So, they take special care of the child so that throughout the photo session there would be no harm to the child. 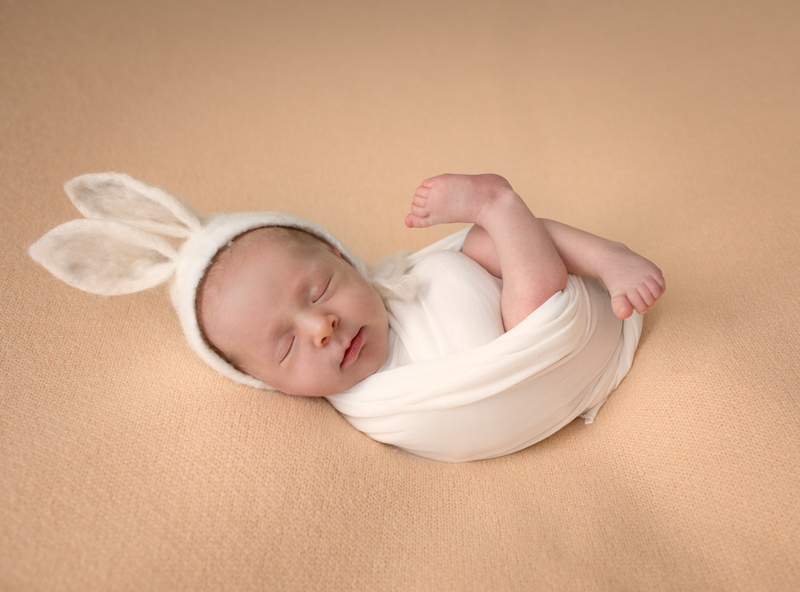 This kind of photography is very famous in LA that’s why it is the home of many creative newborn photographers. 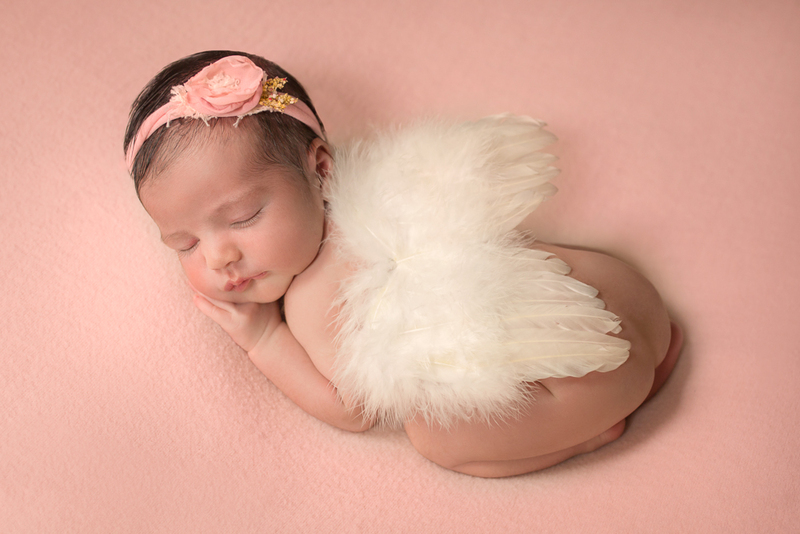 Side by side Los Angeles newborn photography is very famous worldwide that’s why many photographers copy their idea for the betterment. 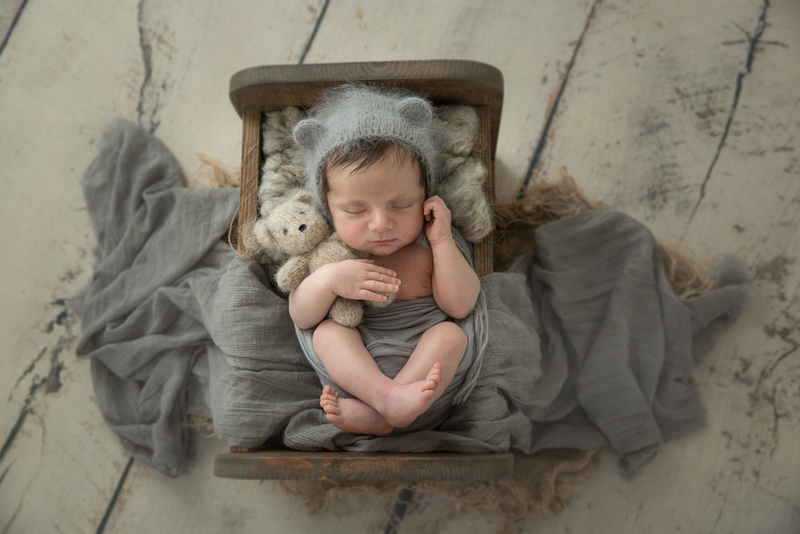 Oxana Alex photography always thinks out of the box because we know that a newborn baby can’t express them in front of the camera, so these photographers use the original habits and activity of the infant. If we talk about Santa Monica and Beverly Hills, they are very famous for their special care during the newborn photo session. For example, a newborn baby is very flexible and their bones and muscles are underdeveloped so we need to keep them safe throughout the session. The session may take several hours because a just born baby has quite an unpredictable schedule. 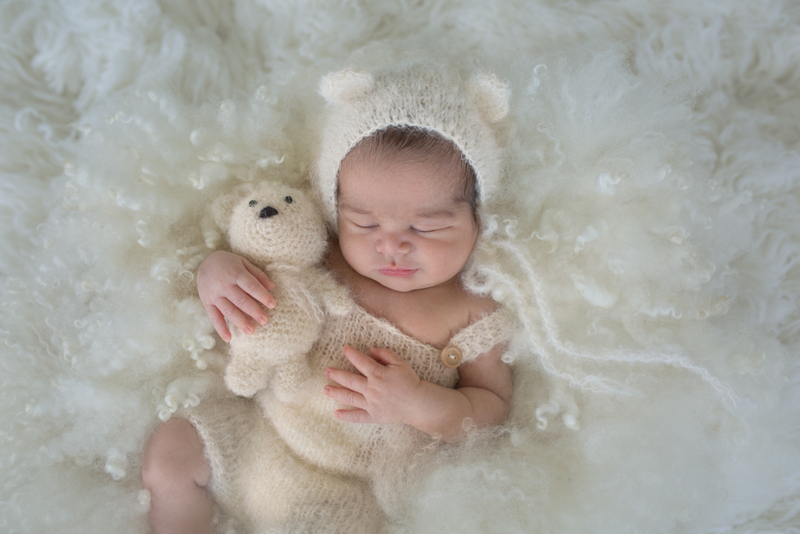 The cute little baby will not support the photographer in any way but the creativity-of the newborn photographer can lead a momentous photo session. Photography in this field is a very calm & a pacific activity because they know the hero of the session is so tyro that he can’t do any favor, so they can include the family member in the photography session. In this way photographer, can utilize the limited resources at their disposal for innovation. One of the happiest moment for a couple is to become parents because having babies is the best catalyst of love between the couple. Parents take responsibility for a cute little one with grace and want to give him/her happiness of the world. As we are talking about happiness so parents click the photograph of their new born magnificent angle, to capture that incredible stage of life. Just think how exciting is to click a photo of a new born baby whose hand, fingers, in fact, the whole body is so small and cute. Well, the preferable day for photography is 15 to 20 days after the birth as a new born baby. To capture the memory for the future, there is nothing other than putting it in a frame. Normal photography is cool but these days particular & specified photography is famous and many people are crazy about it. The newly born child is a blend of perfection and joy. 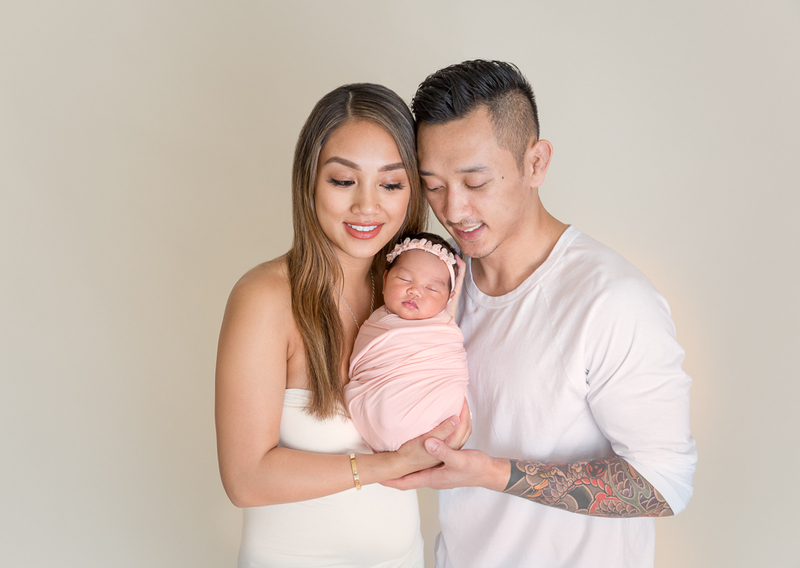 The innocence expression, cute eyes, small toes and fingers, the new emotional burst is so pleasured that the parents can’t be off for a moment Los Angles newborn photography is one of the kinds that is famous among celebrity all around the world. 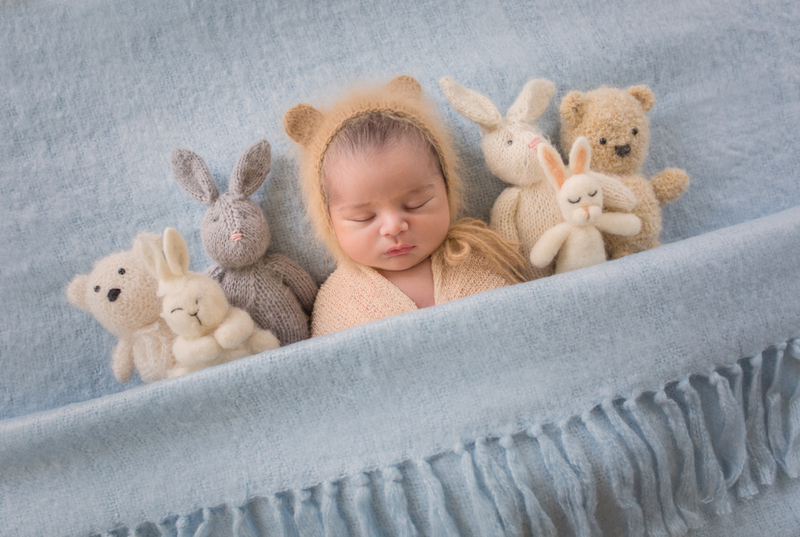 Their studio is perfectly organized for the newborn session. 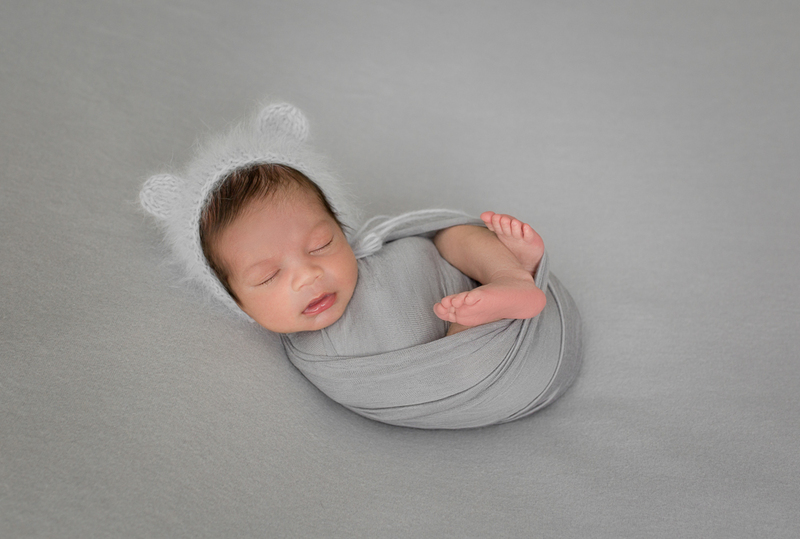 If we talk about new born baby photography, then the experience of the photographer plays a vital role because a new born baby is so small that they are helpless in expressing that. This kind of photography needs skilled hands for the session results in a great success and in the future when we see these photographs, many unforgettable reminiscences would cover our mind. 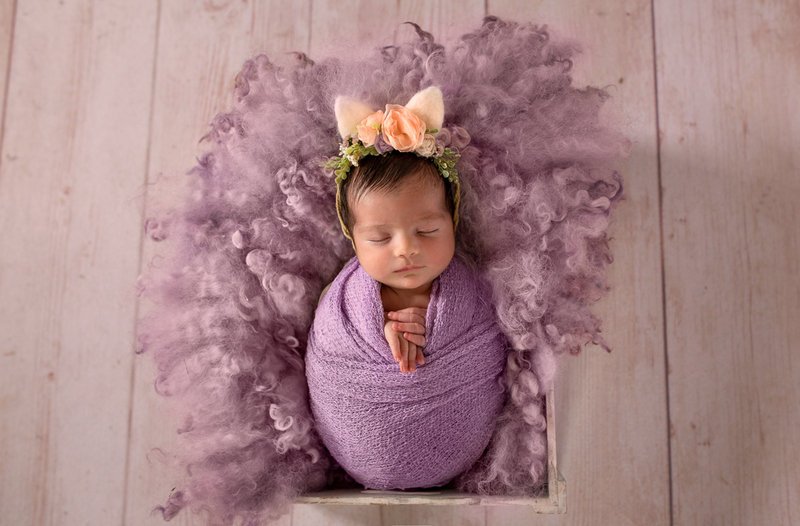 There are many famous new born photographers such as Shannon Leigh, Ana Brandt, Erin Elizabeth Hoskins, Sandy Pus, Anne Geddes and many more those who are very famous for their creativity and innovation in the field of newborn baby photography. 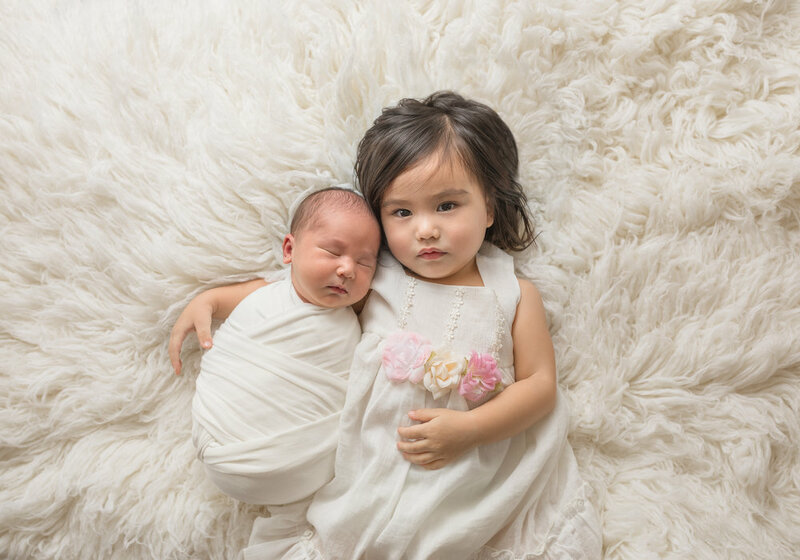 One of the affordable newborn photographer agency in LA in Santa Monica, this kind of photography session is quite common here. very common. 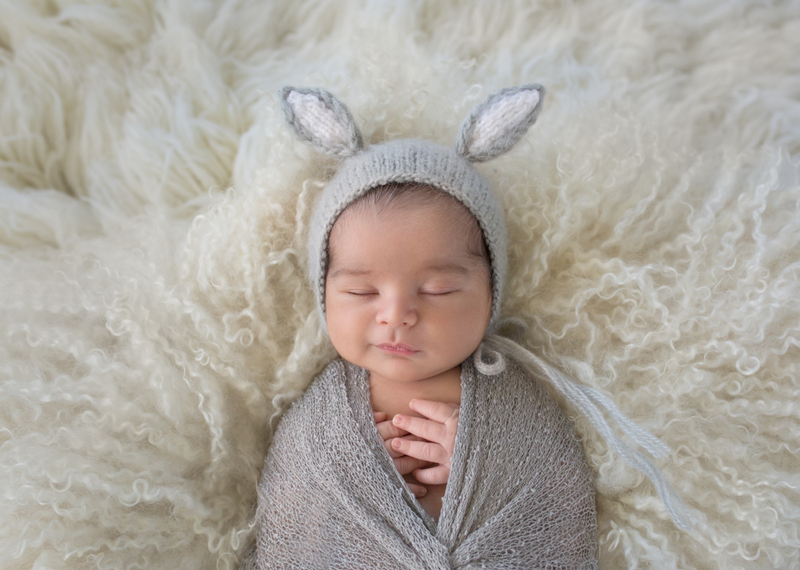 Apart from this Beverl Hills, Oxana Alex photography is also famous among the common people those who are willing to invest their love, time emotions and money in the photoshoot of their newborn baby. Their technical team is responsible for the new artistic fine print. They also take care of different types of print offered by the photographer like metal print, framed print, specialty print, collages etc. The session should match the daily schedule of the child’s activity. So, modern parents are very serious to have a great memory of their photo album. Becoming a parent and having all the cute stress and happiness at the same time is very exciting that's why they are a fan of the new fashion trend. 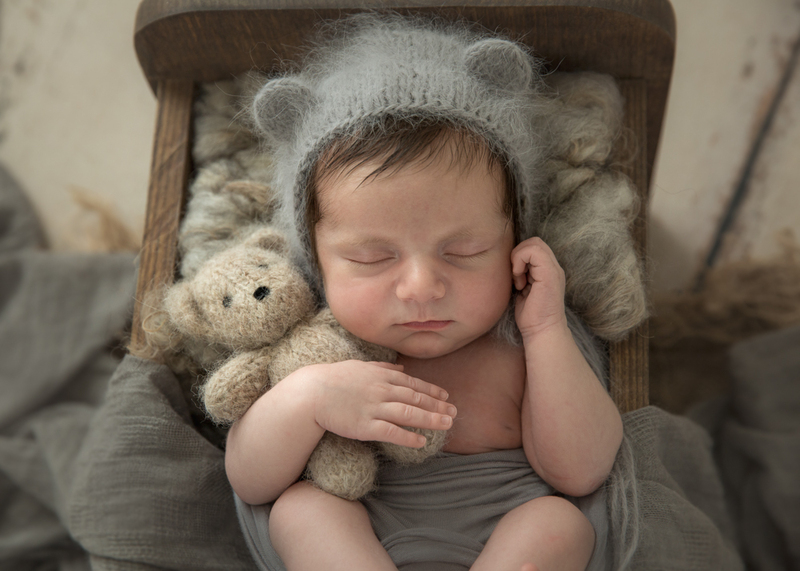 Oxana Alex newborn baby photographer. 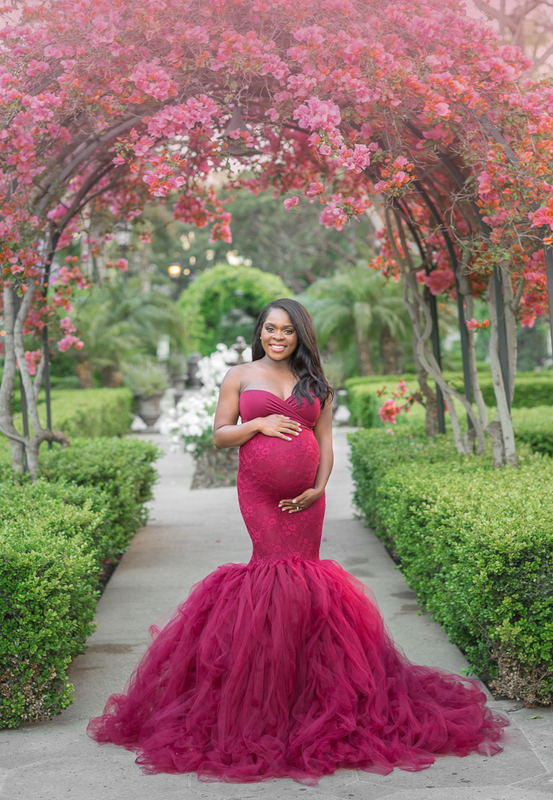 Producer and actress Diana Madison stopped by the offices of Oxana Alex Photography just after new year to get some professional Los Angeles maternity photos taken of her adorable newborn baby. For those of you unfamiliar with Diana´s work she starred in the TV series Unusually Thicke and was producer and host on all 138 episodes of Hollyscoop. Her most recent gig is as executive producer on the show Glam Masters. Imdb.com loglines the Glam Masters show as ”Competition series where make-up artists go head-to-head to prove they have what it takes to be the next big name in the beauty world.” The series also has Kim Kardashian West listed as executive producer alongside Diana. 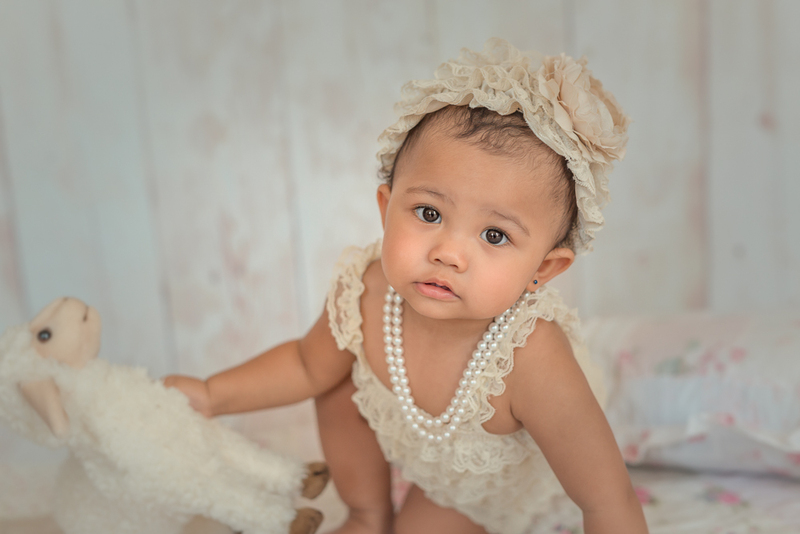 We shot two fairly similar set-ups of her gorgeous baby who did not blink an eyelid for the duration of the photo shoot. Safe and secure in blissful newborn baby heaven. As long as my mother Diana is close by I am ignoring that baby photographer and all her fuss. I am pretty ok lying here as long as there is somebody to watch over me. And it better be my mom. Always! I like my napping areas soft. Wool sheetings, preferably organic. My beds made of wood, I don´t care if they are square or round. I fit them all. But I want them soft. I have no problems with my back. I am perfectly fine. A little miracle gracing your presence. But I like things natural. I am down with Mother Earth. And I sleep better with a soft teddy companion. There is always space in my bed for a furry friend. Hope to see you both back in our Brentwood based offices soon. 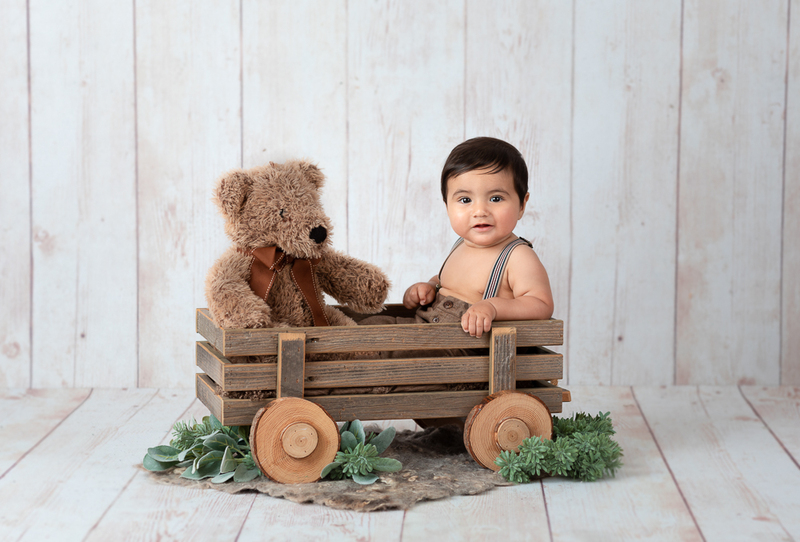 Los Angeles studio baby and family photography. This gorgeous family of three came for some joint maternity and family photography earlier this year. Having recently added a number to the family crew they were all smiles. Celebrating the gift of life by making sure those precious newborn moments were captured the right way. 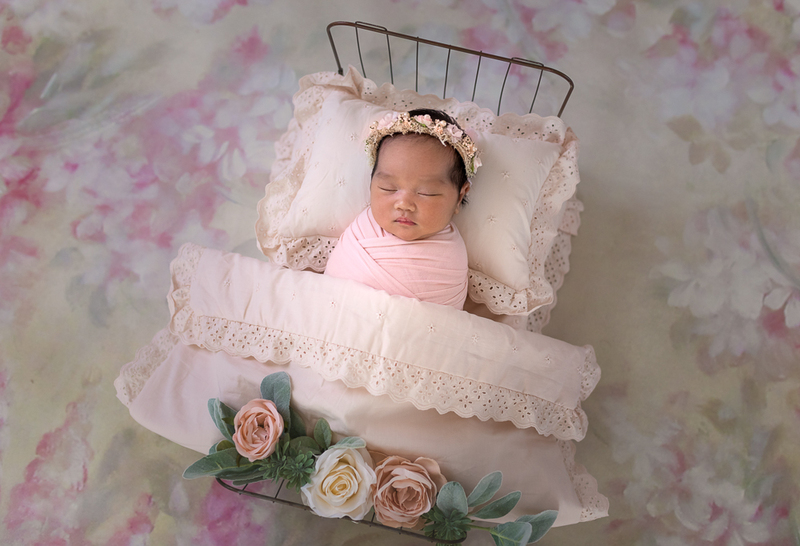 And there is no better gurantee than doing so through a scheduled appointment with a professional Los Angeles newborn photographer. The background colors were kept light and soft throughout this shoot. Alternating primarily between shades of pink and purple in the newborn photos with a more yellow tint in the family shots. 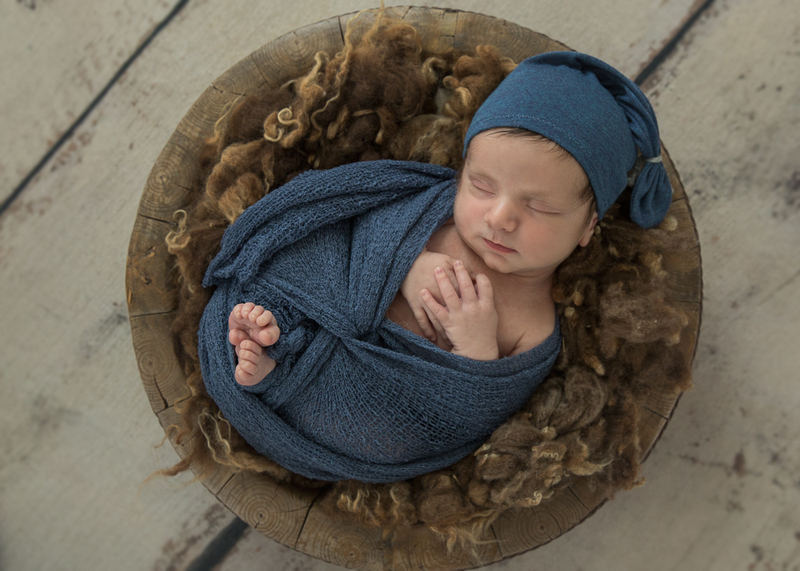 The blissful little one barely opened an eyelid for the entire duration of the shoot. Gladly napping through multiple costume and prop changes. What a joy! 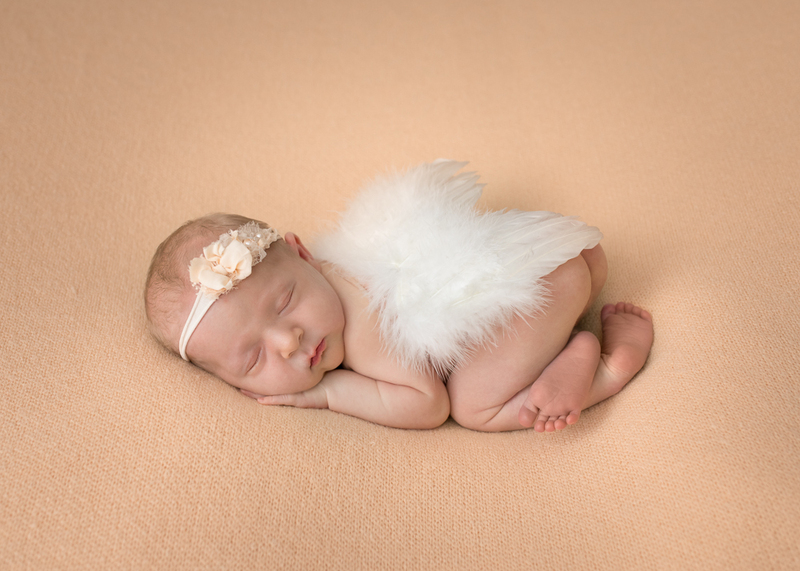 This highlights the importance of scheduling the newborn photo session as soon as you know your due date. 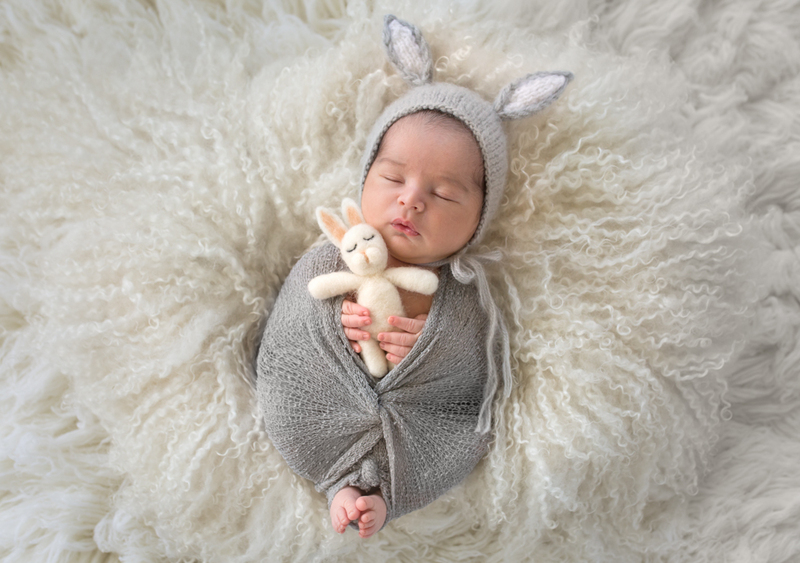 With a Los Angeles booking at Oxana Alex Photography this date can of course be pushed forward or backward depending on circumstances and actual date of birth, but it is key not to miss out on the excellent photo opportunity this sleepy period provides. This limited time window of opportunity will not come back. It will provide your family with Kodak moments for life. That is a gurantee. This family opted for all photo choices available. Mother and father together with the newborn child. Then the young child together with mom and dad in seperate photos. Plus multiple set-ups with the newborn alone. This (and every other) newborn sleepy bundle of joy is truly a live (and not yet kicking) gift basket to overjoyed parents. Can you imagine anything more innocent out there in the whole wide world? It definitely makes me marvel over the magnificent splendor of life and our beautiful world of wonders. I absolutely love these newborn children. 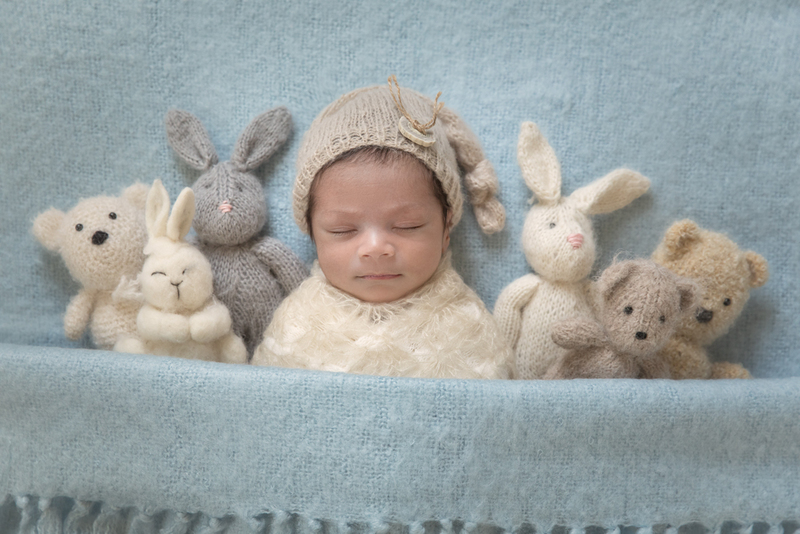 Newborn and family photography is truly a blessed activity. I cannot express my gratitude for being allowed to do this day in and day out. I´ll leave it at that for now. 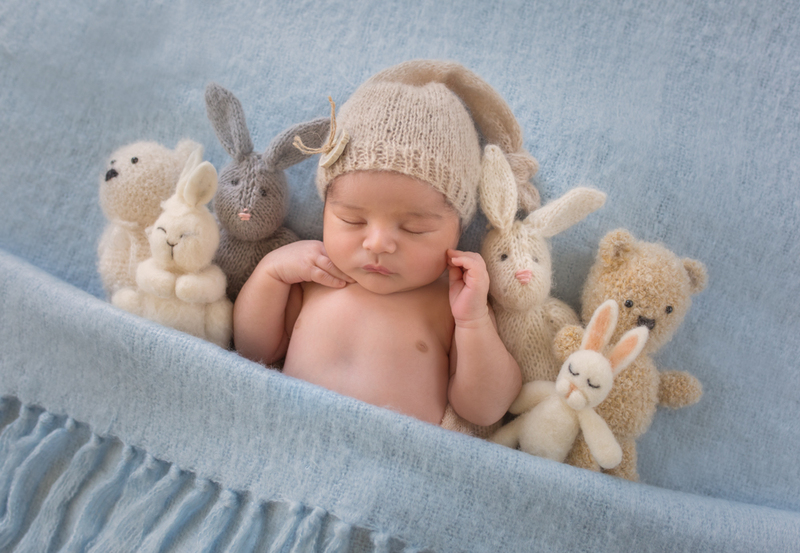 Newborn world citizen baby photography. 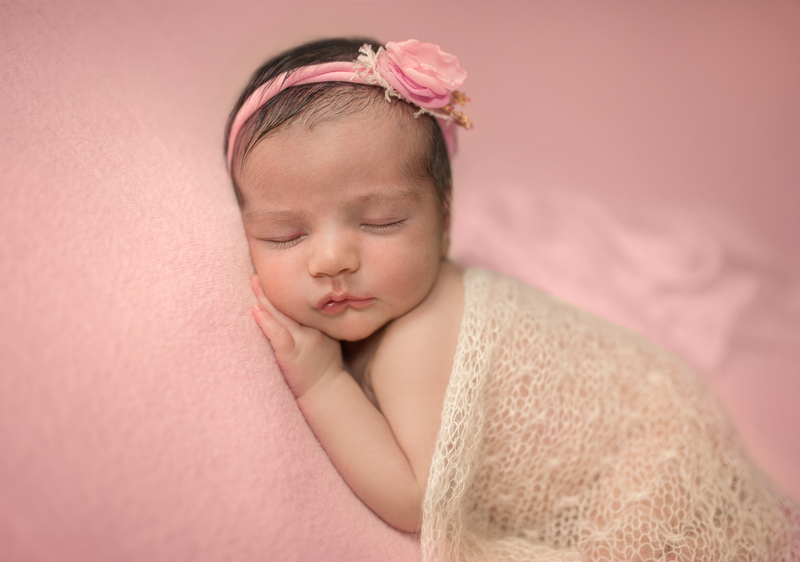 Los Angeles Based newbornPhotographer. I just added my number to the global world population. Little beautiful me. All accounted and tallied for. I believe my number was world citizen # 7,585,304,123. Born in the almighty U.S.A., the third largest country counting by population. We total over 326,287,066 people in this great country and I am told our family resides in the sunny golden state of California. By the ocean. In a warm dry climate. Do you hear me complaining? 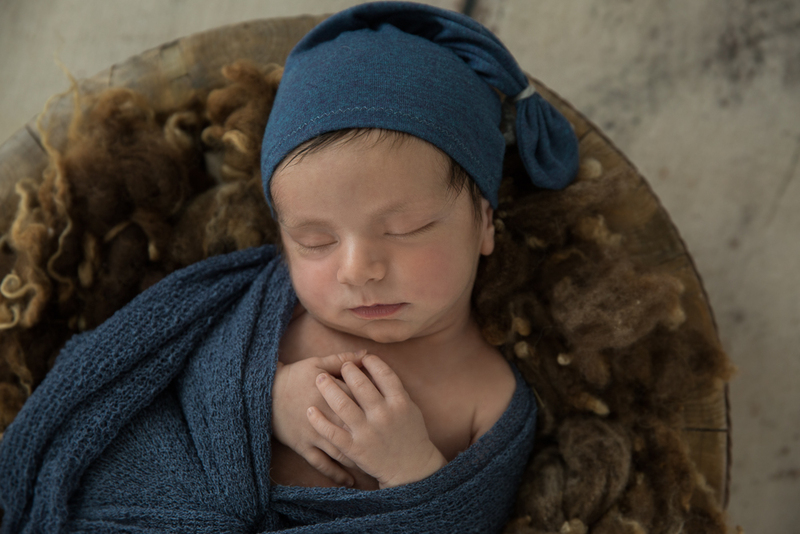 To celebrate my arrival and illustrate my future endeavours my family brought me to newborn baby photographer Oxana Alex in Santa Monica. In these first pictures you all get a taste of what is to come. Little darling me about to pack my first travel suitcase. I got my blanket, world globe, some flowers, my first wooden horse and plane. All mandatory elements for a young world traveler about to start racking up frequent flyer miles. I don´t care where we go as long as my entire family comes along. There will be many more trips in the years to come. So get that camera out and start documenting. Some years down the line I´ll go by myself, but not yet. As you can see, I prefer a place with wood and trees. I like that rustic natural feel. Just hang a hammock on a tree branch and I´ll nap there for sure. Soft blankets, nearby flowers and a tree is all I need. Resting my future globetrotter feet. The soon to be world-weary traveler having her first photo session with a professional Los Angeles newborn photographer. To finish the snapshot session I leave you with some close ups. These feet are definitely made for worldwide walking. Starting off here in Los Angeles. Dodging that traffic. With angel wings that know no boundaries. World, you better get ready to be mesmerized. This baby will take no prisoners. Saddle my horse, ready my plane and spin that world globe. Any destination will do as long as the family is together for the journey. I just arrived here on planet earth. Head first I took the plunge from the safe haven of my mother´s womb. A place I have been nurtured and grown bigger the past nine months. Safe and secure splashing around in my own indoor swimming pool. Listening in on the world out there. Minding my own business, but now I am here. Ready to take on the big world. At my first professional photo session here in Brentwood, Los Angeles. With Oxana Alex. Blissful napping is the theme. I get it. I like it here. Tucked in this soft blue blanket. Almost like the place I used to reside the past year. In my mother´s beautiful belly. Feeding and growing. Into adorable me. Just look at my tiny marvelous feet. A little baby miracle. I need my beauty rest. Quite a lot of it. I am pretty content in this yellow outfit too. Naked and happy. Soft and cosy. It is even better after you added some elements from mother nature. I like the down-to-earth elements. Makes my face more serene. And I am pretty sure I like this fox-colored hoodie more than the previous one. To showcase how photogenic and professional I am I dare you to keep alternating the photo ops. Just keep them coming. I am ready. I look good and napping content in them all. My newborn self is pretty darn easy to work with if you want my humble opinion. I trust you feel the same. No crying here. Just keep me warm and cosy. I´ll open my eyes and smile an approving nod now and then. But the priority is sticking to the theme of blissful napping time. Correct me if I am wrong, but that is the theme of my first professional baby photography session right? I know there will be plenty more to come. With different themes and photo props. In this Brentwood studio and other places. But I believe I nailed this napping theme spot on. You can all put me in your guide to blissful baby naps. Family photography session with radio host Jessica Hall. Charismatic Jessica Hall has many talents and has worked as an actress, model and television/radio host. But most of all she is a loving mother to precious daughter Sophie Carlson and baby son Jake Warren Carlson. And what a lovely family it is. Jessica showed up sans husband Kyle for the occasion to get some family photography of herself together with 2-year old Sophie and baby Jake who was born in early fall 2017. 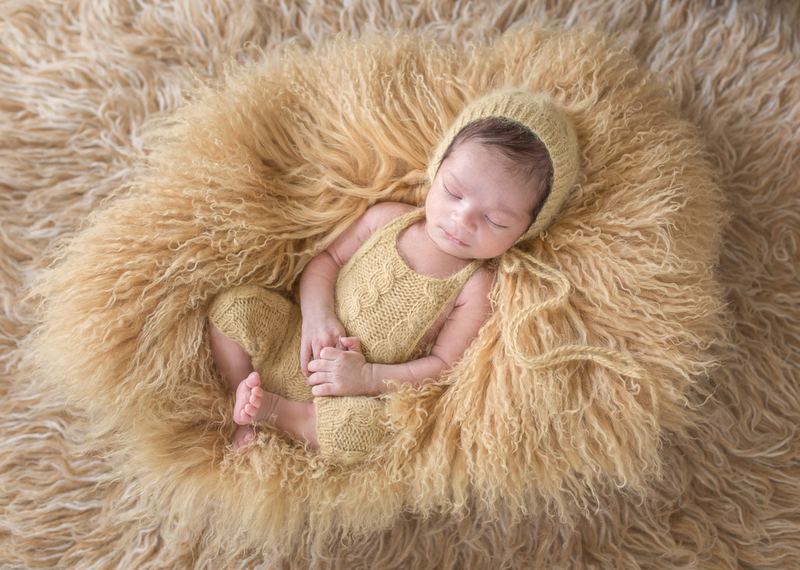 All images were taken at Oxana Alex Photography´s Brentwood location in Los Angeles, California. What an endearing little baby boy with a magic sparkle in his eyes. Handsome as few and already sporting a mischievous little grin just to please this baby photographer. Lying there on the padded floor effortlessly good-looking, the single color outfits matching him just perfect. Sophie was so proud of her baby brother. Keeping a watchful eye on him and eagerly assisting her mother throughout the entire family photography session. Plenty of hugs to go around, but most of them reserved for little brother Jake and the big blue teddybear of course. Anything soft and cuddly deserves some affection. Baby Jake demanded the occasional attention and let us know when it was time for feeding. Babies need fuel to grow so let´s take care of business. First things first. And food is certinly on that priority list. After all I am the new baby star of this family and you better all do as I please if you want to capture my most photogenic moments. With stomach full I am content and relaxed. Safe and sound in my doting mother´s arms with my sister by my side. My clothing is a match with the teddybear. A cuddly companion that is three times my size. As tall as my sister, I bet we could both fit inside its arms as it hugs us goodbye. I want to come back here for for more baby photos and my first cake smash. With a little help from my teddybear friend. And my sister Sophie of course. Hope to see you all soon. Best of wishes for 2018! 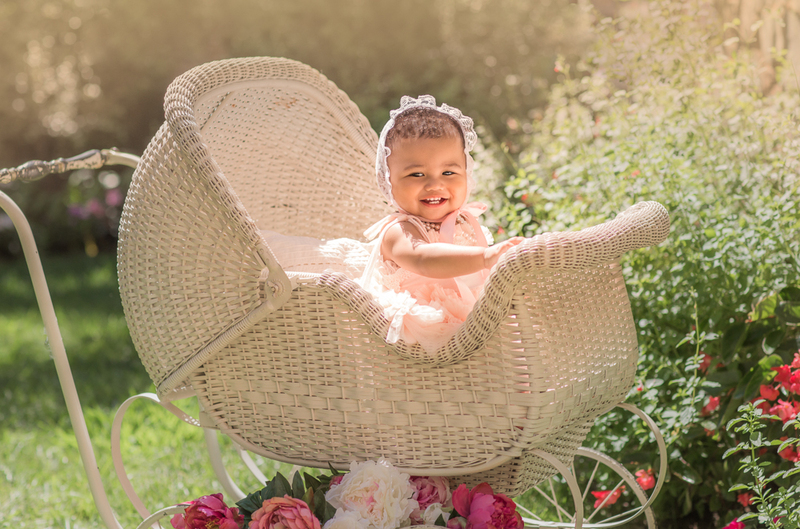 Photographing adorable little girl with an affinity for flowers. This gorgeous little beauty had a deep affection for flowers of all colors. 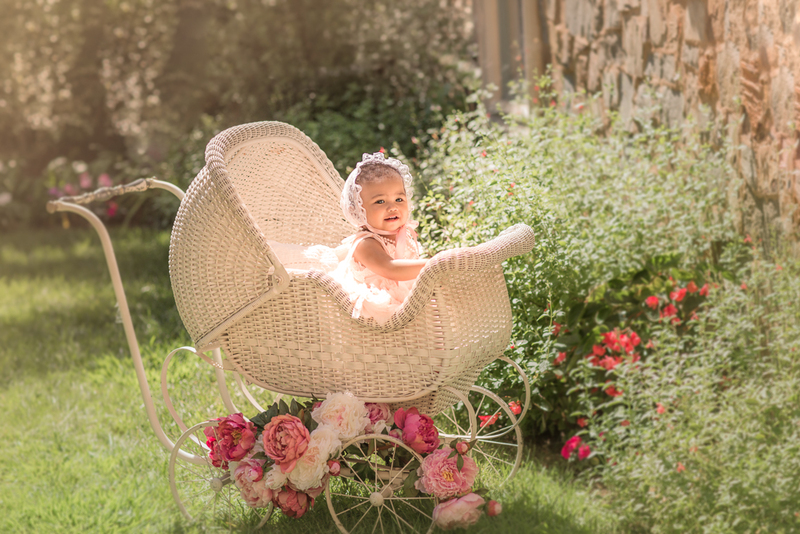 It did not matter if this baby photographer brough her inside or outside in the sun. Flowers had to be in the frame. A very well-behaved little girl for sure, squamish about doing a cake smash. Sampling that delicious cake without ruining it. She did not want the cake or the flower decor surrounding it damaged. One has to treat the lovely flowers nice. That way they last longer and can be used in all my baby photography shots. Purple and pink flowers go well with the cake and they are picture perfect in my floral crown as well. Oops, one fell out and landed on the floor. Oh well, I can pick it up after I am finished eating my cake. First things first. 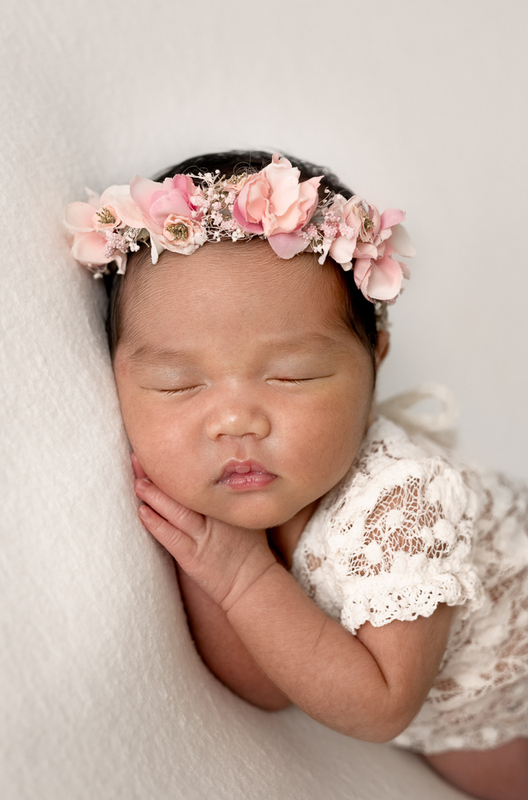 Los Angeles baby photography can be a dream job with such enchanting subjects. 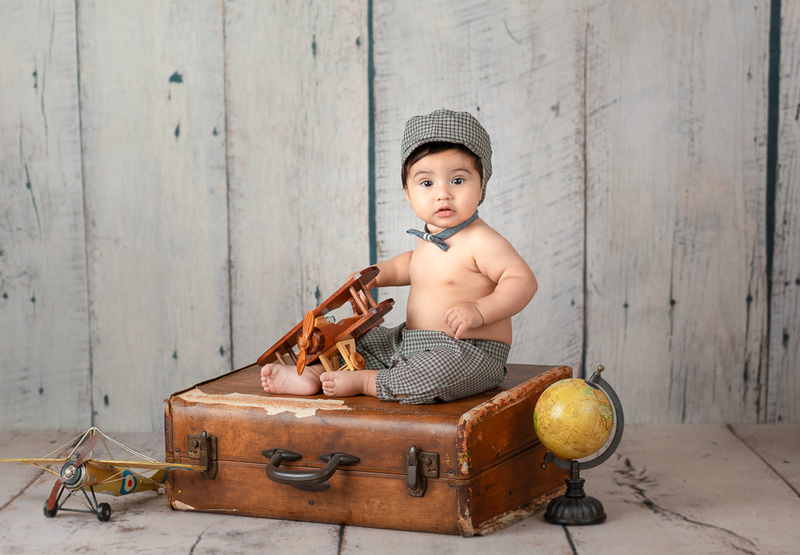 This little one was eagerly checking out the quality of the baby photographer´s studio toys and props. And I believe we got some enthusiastic thumbs up. The vintage baby carriage has good cushioning and a nice rustic look. But it could surely do with some flowers. I think this blue floral crown has to be my favorite. It is a perfect match with the blue bouquet at my side. But I can get a bit bored sitting still for too long so keep shooting those photos. That baby photographer can do some action shots of me as well. Stomping around this Brentwood family, maternity and baby photography studio. I am probably my happiest outside in the sun. Rocking in the outdoor baby carriage. Cushioned by all these flowers I picked in the baby photographer´s garden. I am content as can be. In my natural element, getting my D vitamins. Inspecting all the flowers and greenery. With a blue sky and the Los Angeles sun shining down on me. A fun photo session with lots of flowers. You are welcome back any time. We´ll call the florist in advance. 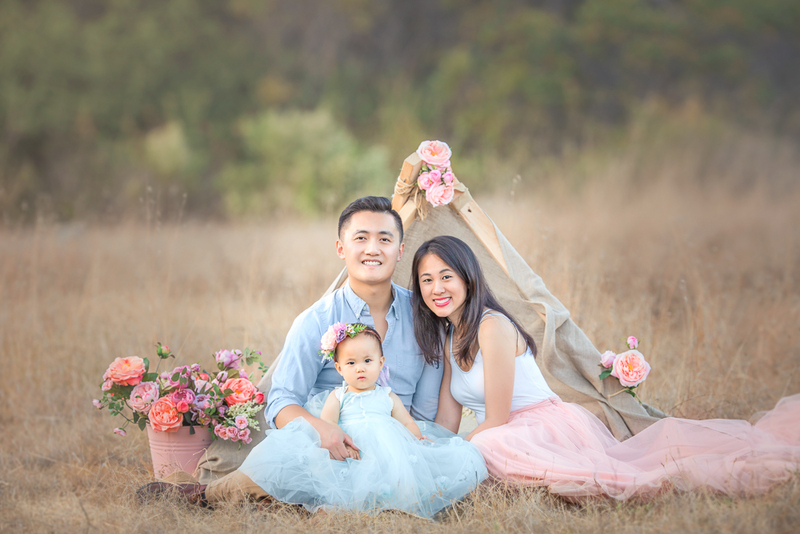 Outdoor family photography in glorious Los Angeles forest surroundings. 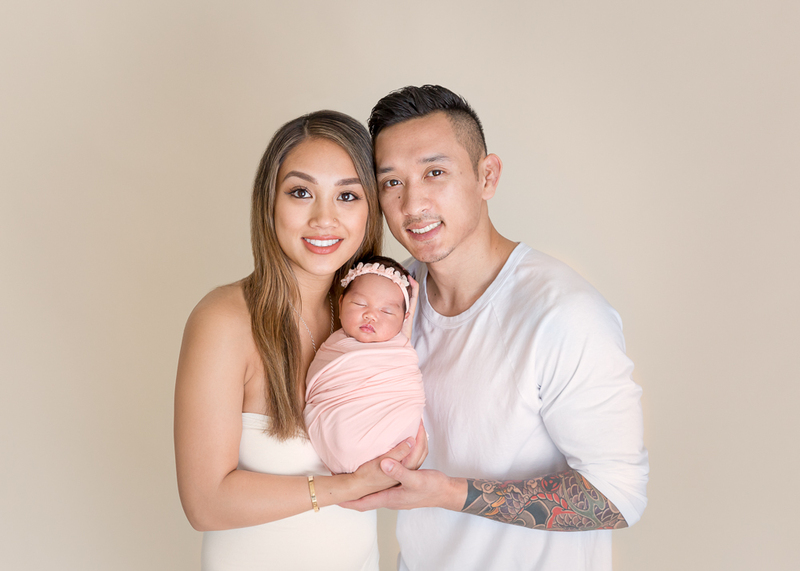 This gorgeous family chose to have a photo shoot with the entire family going baby camping in the picturesque woods surrounding our lovely city of Los Angeles. Back to nature here we come. An adorable baby camp was raised in splendid natural surroundings a sunny fall day. A family picnic with fun and games worked perfect as backdrop for this back to basics family photography done by maternity, family and baby photographer Oxana Alex. We deliberately used rustic props like the cute wooden pull cart. Perfect size for the young one who wanted more and more forest laps from both mother and father. Not to mention from an exhausted photographer. This was a genuinely down to earth happy camper family who enjoys back to nature bliss and spending time together out in the open as a unit. Teamwork put up this lush baby rest tent adorned by flowers left, right and center. Comfy pillows and blankets to lounge on and of course this baby was kept company by an army of cuddly companions. The family photography session runs much smoother with a variety of furry friends tagging along to help out. It even allowed for four smooth and trouble-free baby wardrobe changes just to please the family photographer on call. Los Angeles family photography can be truly a fun experience out in the ´wild´. 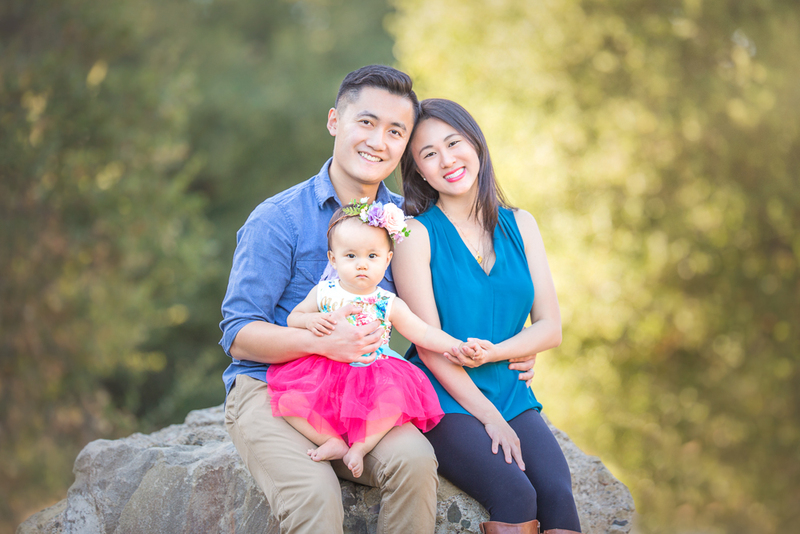 This mother, father and child were all smiles and came across as true photo shoot professionals. Having the entire household being out and about in a natural setting rather than a studio can often bring about inventive and original compositions. Not to mention a healthy dose of vitamin D and some hiking exercise. The family is the true photo star here with nature as an image frame. Hope to see the three of you back here soon with a slightly older toddler. For more cart laps. 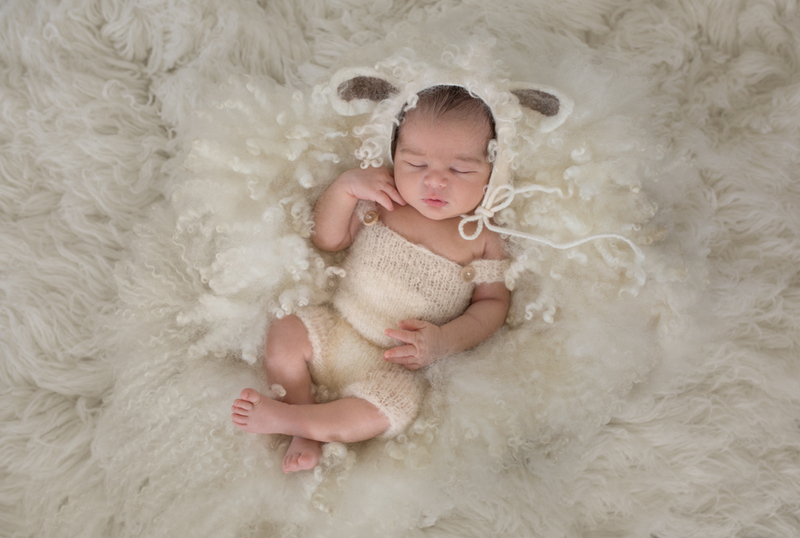 Beautiful newborn baby photography session. All babies are adorable. Innocent and fragile. There is nothing quite like it in the world. 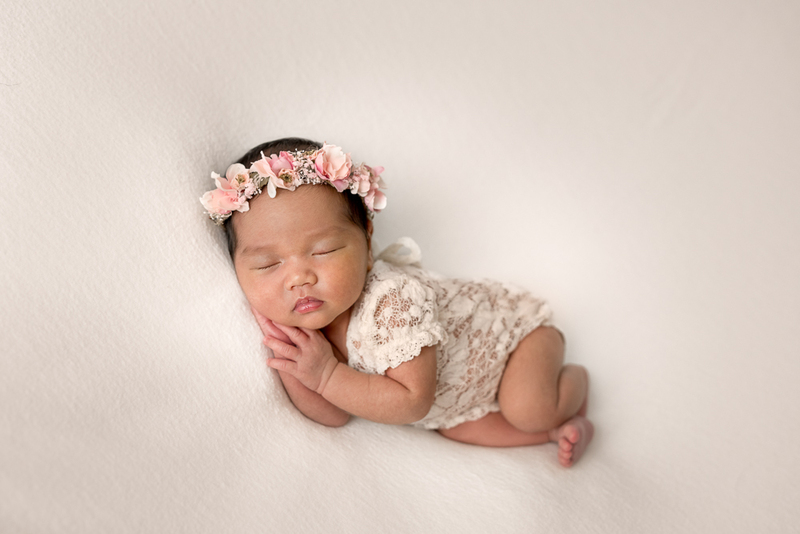 And there is nothing that can compare to the beautiful photographic images of a newborn.That is why I love to be a newborn baby photographer in Los Angeles. An infant little child that has just added to the world´s population. An individual that will grow into a complex human being. His or her whole life ahead. We are definitely all unique, but unfortunatley time ticks away without mercy. 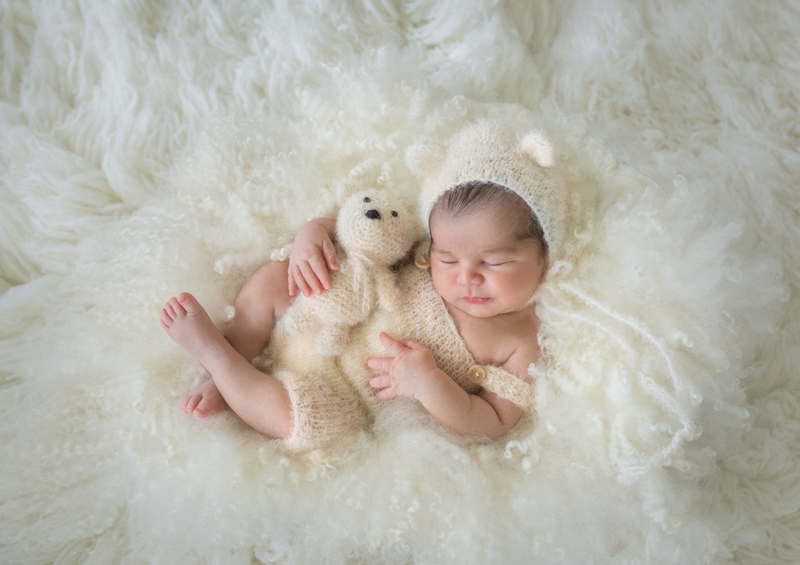 One can´t turn back the clock, so it is crucial to find a professional Los Angeles newborn baby photographer to take care of business. As soon as possible! 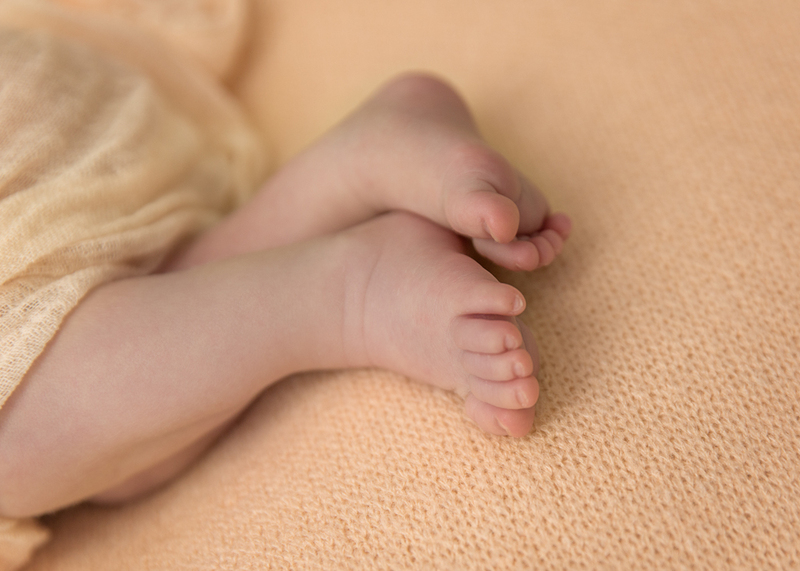 The tiny hands and unused baby feet make this baby photographer go bonkers. That peaceful serene newborn look that unfortunately fades away very fast. 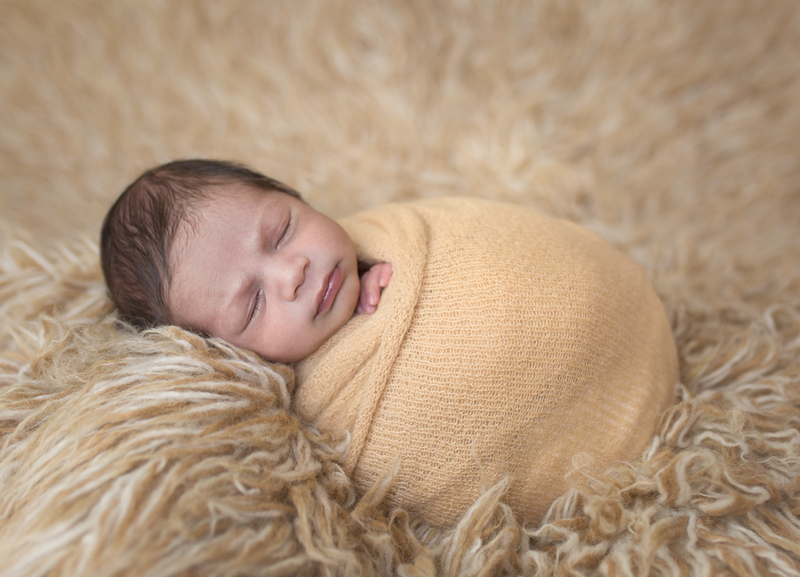 I cannot stress the importance of booking the Los Angeles newborn photography session before birth and schedule the date as soon as possible after birth. That sleepy infant look is usually gone after three weeks. We all want that newborn baby photography magic to be captured by a baby photographer who has the right equipment, skills and experience. 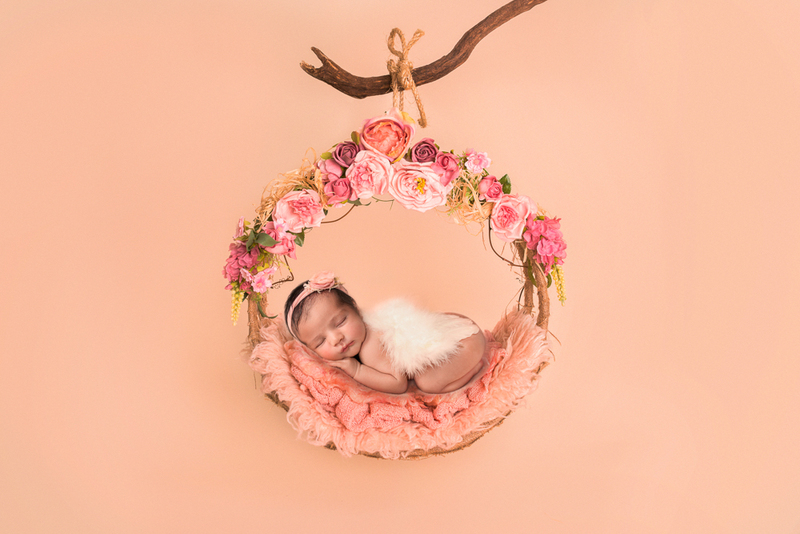 Props like soft angel wings, cushy blankets, cuddly toys, flower crowns, specialized furniture, rustic beds and multiple color backgrounds can make or break a baby photography session. Catering to the wants and needs of the child as well as the parents. That is what Oxana Alex Photography is all about. 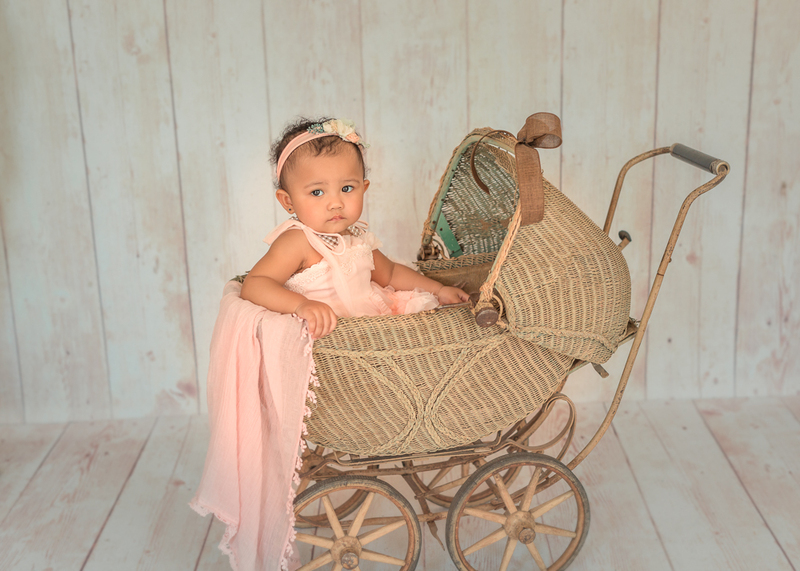 We aim to please in family, maternity and baby photography and grow an extended family of satisfied repeat customers. Look at this bundle of joy resting in the soft cuddly flower adorned hammock. You don´t have to be religious to understand such a sight is truly a gift from God. Mother Nature holding out her tree branch, the beautiful little infant suspended in air like the storks just brought the baby gift wrapped to the family. An angel reborn. Worth much more that its weight in gold. No doubt about that. A precious long awaited darling addition to this overjoyed family. The love is evident in all these family photos. I am just grateful that I am a Los Angeles newborn photographer allowed to capture these cherished family moments. 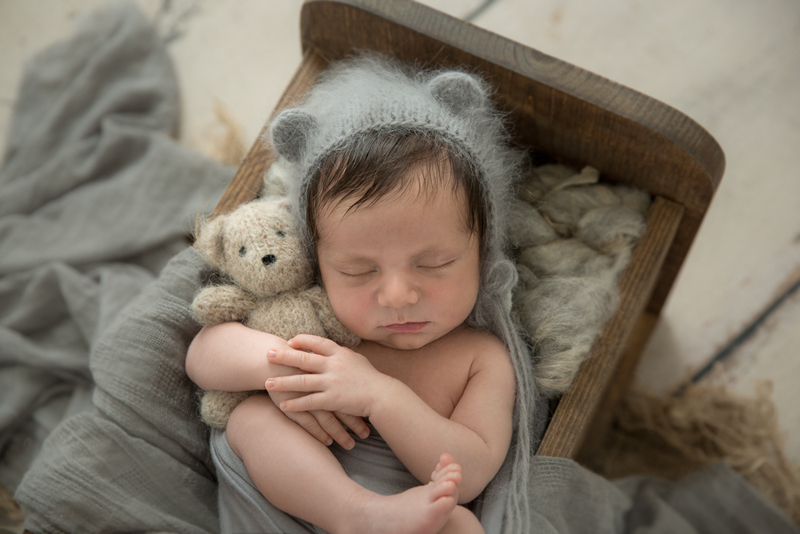 Newborn baby photography kept firmly within the infant comfort zone. 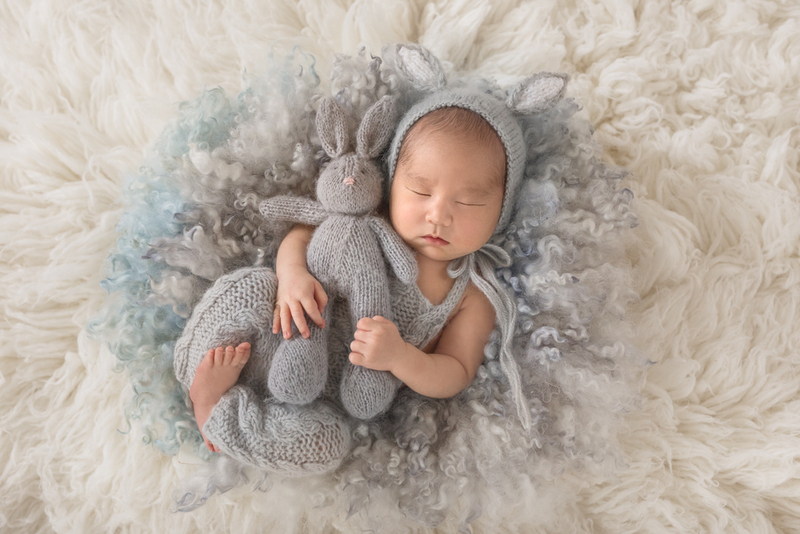 This Los Angeles newborn baby photography session was a how-to manual in baby tranquility and shot list productiveness. 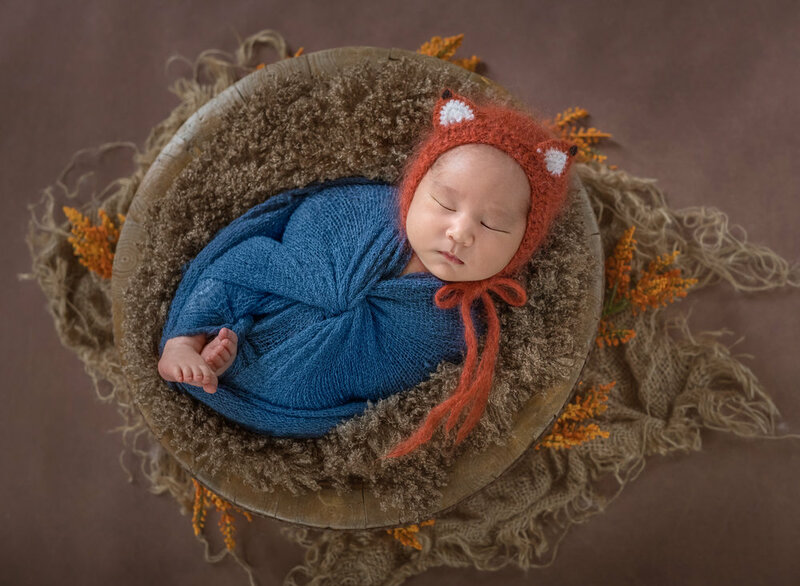 It was a super smooth and almost soundless session that perfectly showcases the reason why the Oxana Alex Photography crew ideally wants to schedule the newborn session within the first 8-14 days of birth, a time frame that has consistently shown that the babies are in their "sleepiest" photogenic state. Not too much hard work for this baby photography model, proud parents or photo crew. 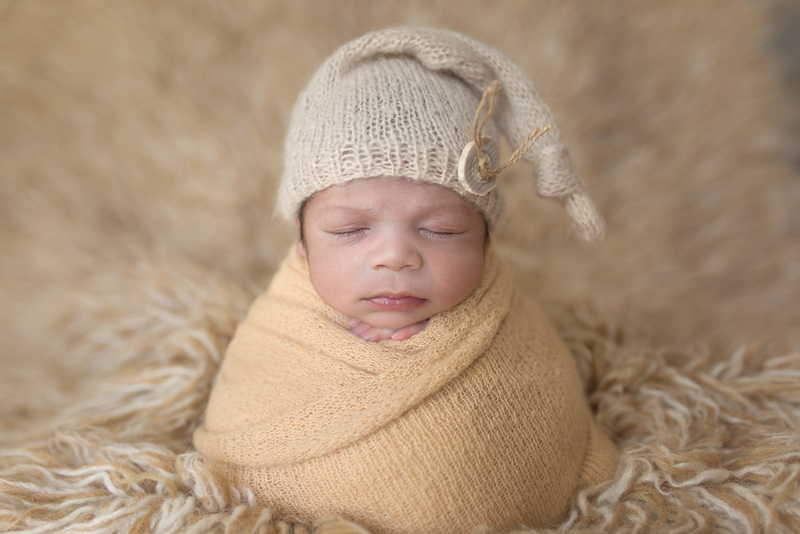 Keeping the temperature in our studio warm, these images are proof that this newborn definitely was in his comfort zone for the entire duration of the photo shoot. This baby had some recommended awake time before the shoot and was fed just prior to session start. The rest was a piece of cake. And I don´t mean a cake smash :). These baby photos should secure a good beginning for the new family photography album. As far from disturbed as you can get, this baby was comfortable resting in all positions. A dream model for this baby photographer to work with. The same goes for the parents. Family & child photography is teamwork and together we expeditiously worked through the creative shotlist. 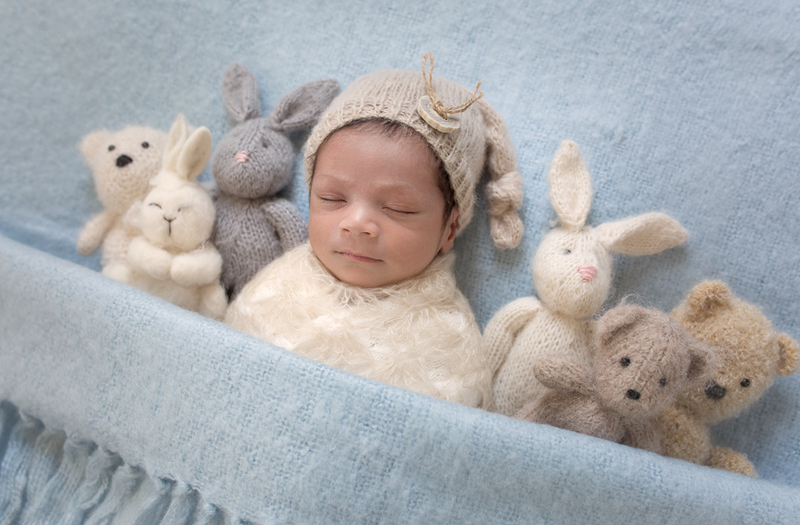 I honestly believe we succeded in capturing the essence of newborn baby photography here. Parents and photographer decide jointly on props, costumes, clothing etc. Exploring various options through cooperation, alternating backgrounds, color schemes and framing distances to ensure variety and many pictures to chose from. The end result is always to make sure the client walks away very happy with the work session, and it is an added bonus if this Los Angeles baby & family photographer gets to challenge her creativity and technical efficiency. It is blissful serene sessions like these that make this particular Los Angeles baby & family photographer walk around with a smile for the entire remainder of the day. A walk in the park newborn baby photography!